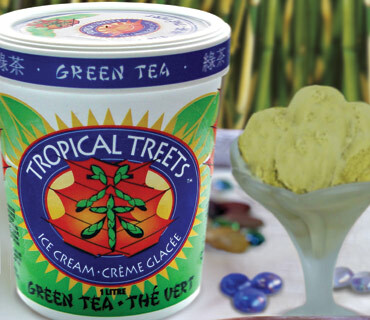 Creamy Coconut ice cream made with Thai coconut milk and loaded with chunks of young water coconut to create an unparalleled taste sensation. Pair with Pecan or Apple Pie for an exotic pie ala mode. 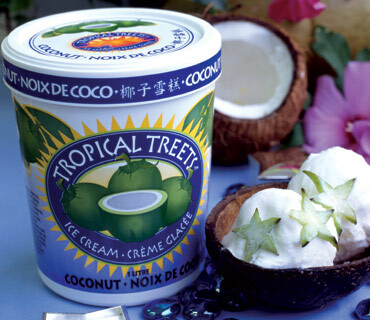 An island treet awaits your senses!! 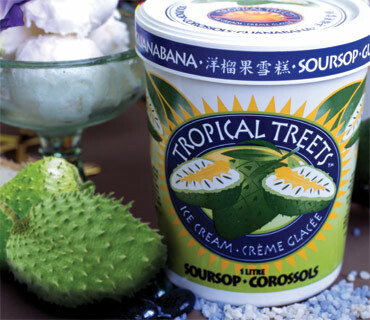 This island delight is made from carefully selected Soursop fruit, naturally ripened and blended into an ice cream that will take your taste buds on a tropical adventure! 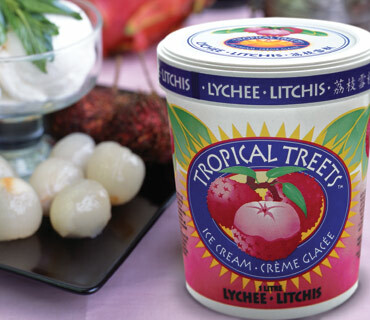 This refreshing Asian delight is made with real lychee puree to create a tantalizingly cool treet! 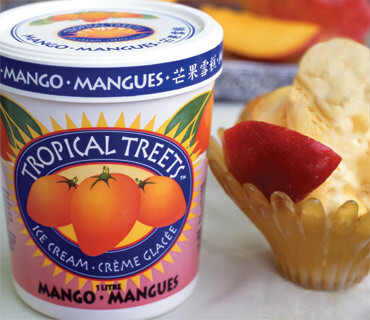 Our classic Mango Ice Cream is made with the finest blend of sweet tropical and Indian mangoes to bring you a taste that is simply decadent and irresistible. 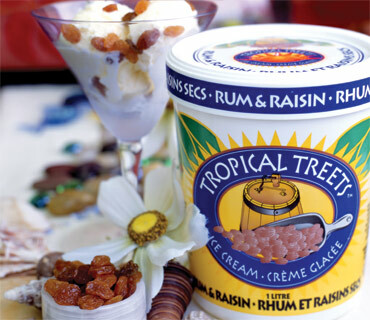 Rich rum ice cream made with real Mount Gay Rum and loaded with plump golden sultana raisins. Please don’t eat and drive!! Delicious malty ice cream loaded with toasted, crunchy grapenut cereal for a mouthful of good taste. 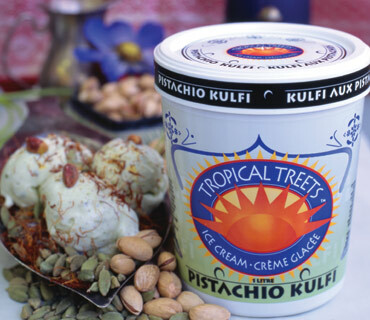 This traditional Indian style dessert is made with creamy condense milk and ground pistachios, delicately flavored with strands of Spanish saffron and earthy cardamom. 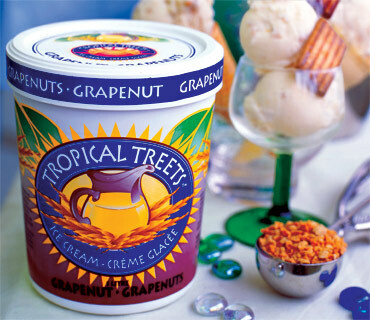 A decadent treet for your senses! 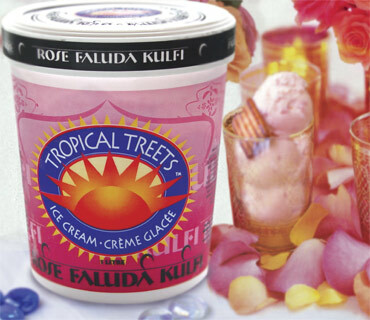 This Indian treet made is flavored with sensuous rose water, laced with aromatic basil seeds. A regal experience you’ll savor! 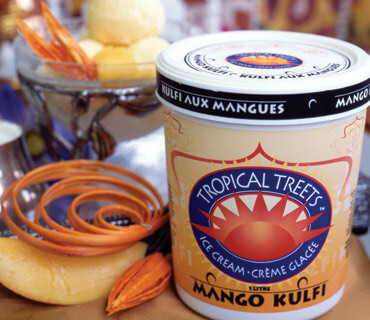 A rich Indian style ice cream made with sweet Alphonso mangoes and creamy condense milk. Irresistibly divine! 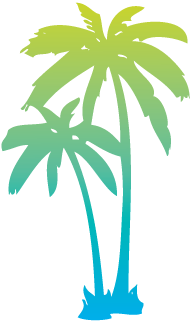 Copyright © 2012 Tropical Treets. All rights Reserved.